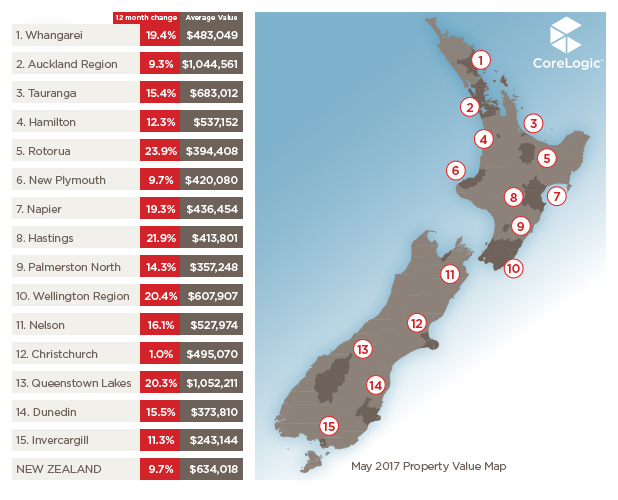 The latest monthly QV house price index shows that the rate of increase of New Zealand property values is near zero. It is yet another source confirming a widespread slowdown in the housing market - from demand, to sales volumes and of course values. First I’ll cover values, then take a look at some of the causes, and end with my perspective on where this is all likely to go. As always, there are wide variations between cities and regions, but the general pattern is of a marked slowdown in the main cities, especially in the north, accompanied by a distinct slowing in regional areas. To be clear - we aren’t talking about a widespread drop in values. In fact in many areas they are still increasing. It’s just that the rate of that increase is a lot slower than it has been over the past two years. Auckland always tends to get plenty of attention when it comes to house prices, so let’s start there. 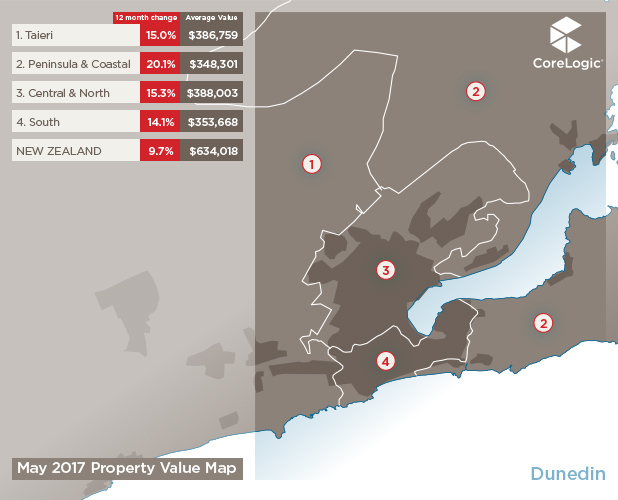 According to the QV index, values in Auckland have been very gradually sliding since November, and have now dropped 0.7% since then. 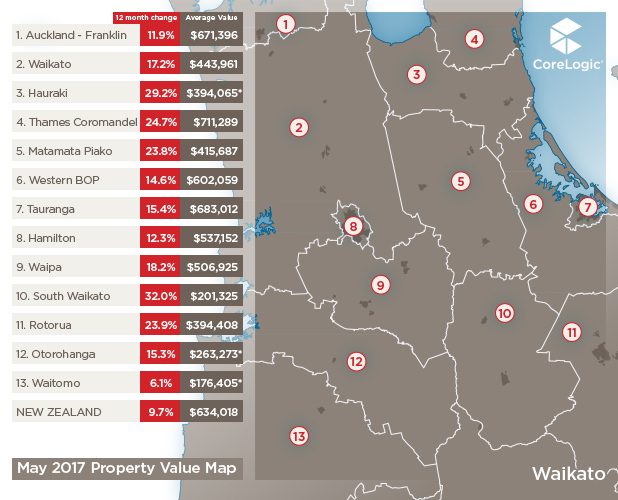 Digging a little deeper, we can see that values have been dead flat since November in the central city, Manukau and Papakura. 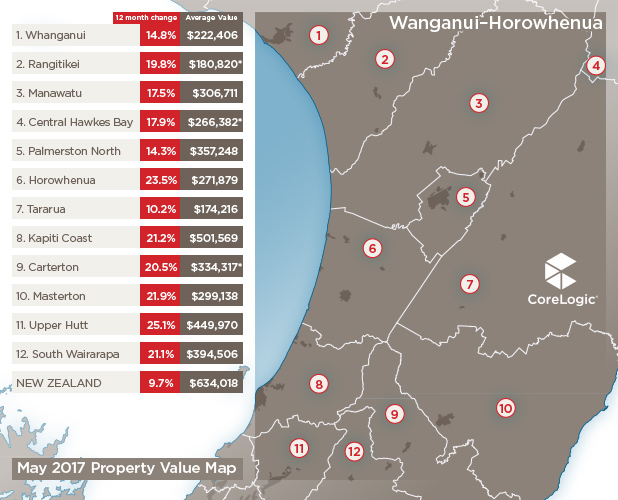 The North Shore and Waitakere are both down over 2% since that time. 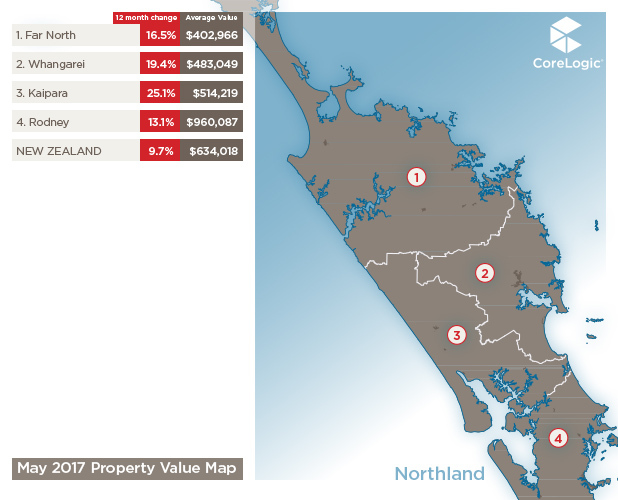 Meanwhile, the old Rodney area in the North has risen 4.5% over the same time, still being pushed up by Aucklanders looking for more affordable housing on the northern fringe. Contrast all this to most of Auckland increasing at about 8% in the six months leading up to November. Quite a change! 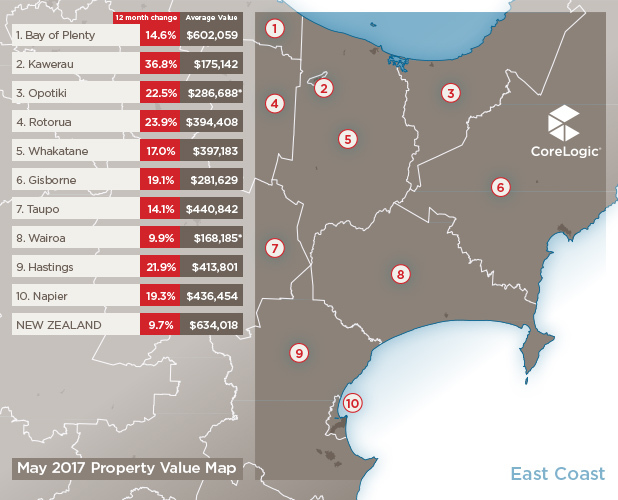 From about mid-2015 onwards, values began to rise rapidly in most of the other main centres, with the exception of Christchurch. That rate of increase has eased off to varying degrees. 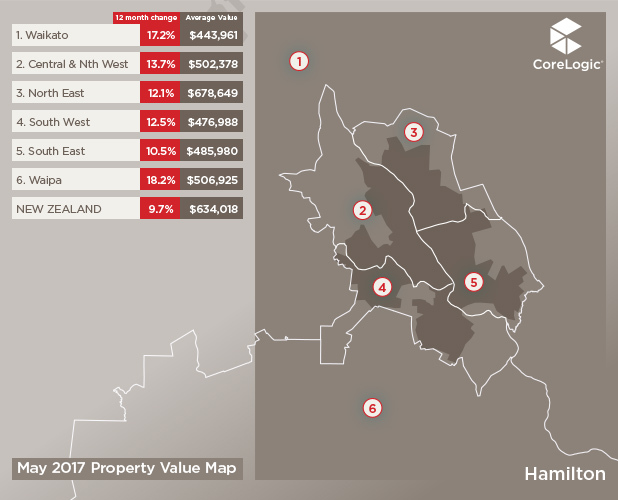 In Hamilton, values were increasing as fast as 31.5% in the year to July 2016. Value change in the last six months has been exactly zero. 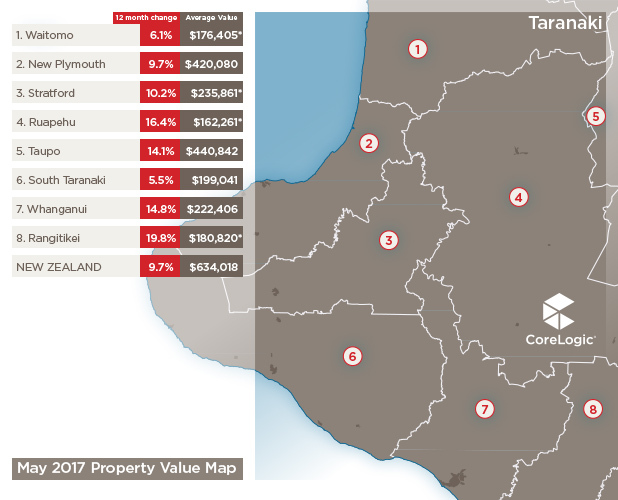 Tauranga was rising 28.5% in mid-2016 and in the last six months only 2.7%. Getting the picture? 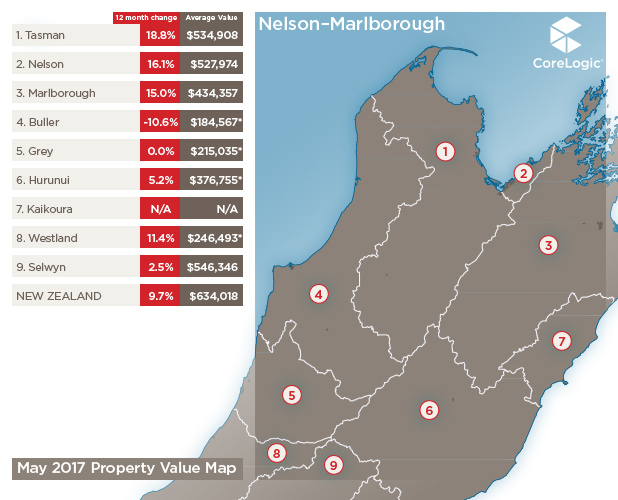 Further south, in Wellington the value increases didn’t get to the same crazy rates as further north, but having peaked at 21.5% annual change in 2016, that rate has now slowed to 7.4% over the past six months (an equivalent annual rate of 15%). In the South Island, Christchurch and Dunedin are marching to their own beat. Christchurch values have been increasing only very slowly for the past three years, at a rate of between 2% and 4% annually. They are now dropping very slowly at a rate of 1.2% over the past six months. Dunedin has only just begun to slow in the last month. Another standout area worthy of mention is Queenstown. A stellar performer last year, increasing at 32% in the year to November, the last three months have seen a miserable 1.2% increase. Quite some slowdown that. Many of the smaller centres are still increasing in value. 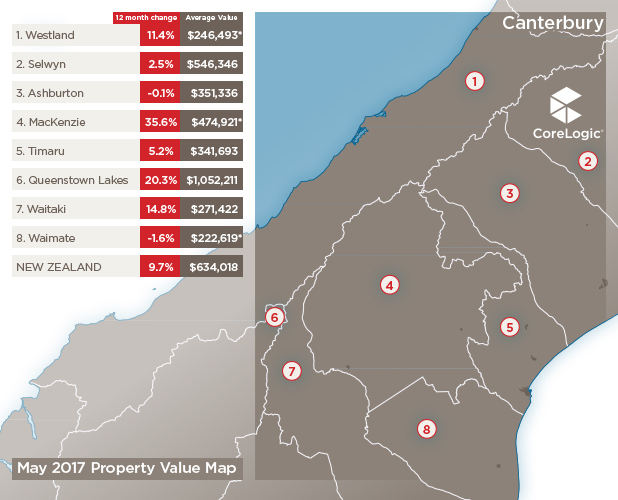 Take Central Otago for example, where the overflow from the hot Queenstown market has led to rapid value increases in the likes of Cromwell and Alexandra. There are plenty of other examples, like most of the lower half of the North Island. But I don’t think that growth in many small areas is going to last. More on that later. The reasons behind the slowing market are not new; the Reserve Bank lending restrictions, banks getting even tighter on their lending, mortgage rates rising slightly, the winter season and finally increasing uncertainty about policy changes post-election. These things impact demand first. Our unique measure of demand reflects that, showing an immediate drop from the moment the Reserve Bank changes were announced last July. As demand drops, the number of sales drops a few weeks later. 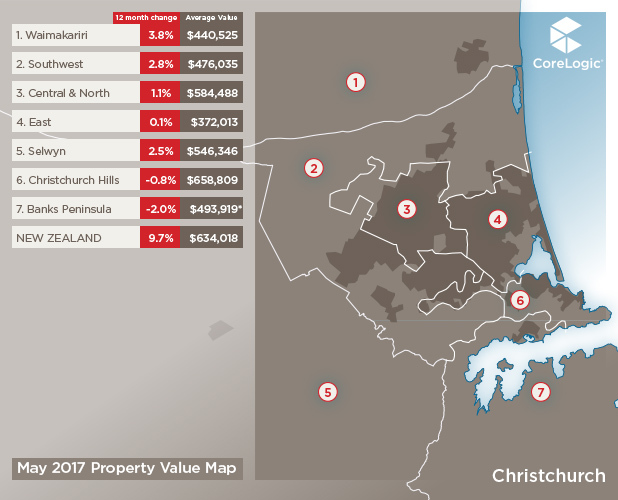 The downward slide in sales volumes shows as the last three months of sales were 31% lower in Auckland than a year earlier, and the month of April was the lowest since 2008 in the depths of the post-GFC recession. 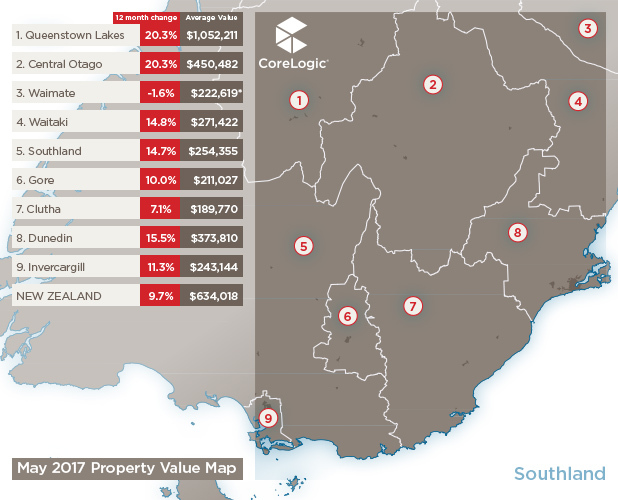 This year on year sales decline when you look at the last three months is repeated in Hamilton (28%), Tauranga (23%), Wellington (18%) and Dunedin (16%). In many smaller towns there was a massive increase in sales activity in 2015, up to double the previous year, but that too has now begun to unwind rapidly and volumes are back to where they were three years ago. When sales volumes drop, values drop a few months later. No hard and fast rules here, but it is usually in the range of four to nine months between a significant drop in sales volumes and a subsequent drop in values. So no surprises to see values changing the way they are. The weeks of the Easter and ANZAC holidays had an expected drop in buyer demand. That demand usually bounces back to pre-Easter levels, but these past few weeks have been unusually low. This drop in demand will almost certainly lead to fewer sales, which in turn will flow through to further weakness in values. The number of properties on the market will influence value change. 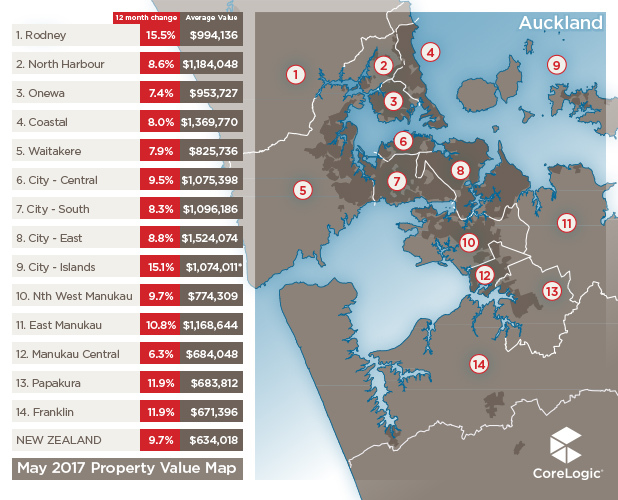 In Auckland a lack of sales combined with a normal level of new listings has meant that our measure of the total number of properties on the market is 50% higher than a year ago. That’s a lot more choice for buyers and takes a good deal of the upward price pressure out. 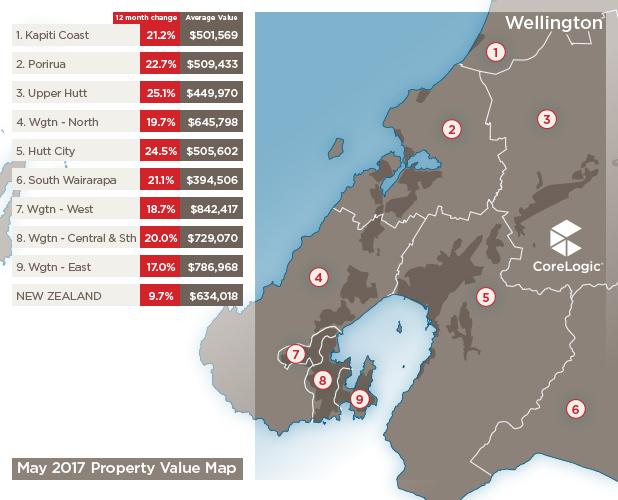 Wellington and Dunedin on the other hand both have even fewer listings than this time last year, making the choice even worse for buyers, and so upward price pressure remains. I would be very surprised to see a rebound in values anytime soon. Previous rounds of Reserve Bank lending restrictions have had only a temporary impact before everything rebounds. This time the signs of a slowdown are much more widespread. I’m still picking it will be post-election before activity picks up again. That is a prediction of human behaviour though, and as we all know that is a notoriously dark art.